An anthology of previously-published haiku, senryu, haibun and sequences dealing with veterans, especially Vietnam veterans. For ordering information, drop John an e-mail. A collection of John's Scifaiku. 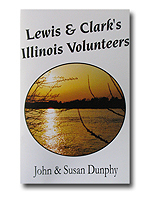 An account of the fourteen Illinois men who served on the Corps of Discovery. Recruited at Fort Massac and Fort Kaskaskia, these men accounted for almost half of the Corps' members. This is a history from 1673 to the twentieth century of that segment of the Mississippi known as the River Bend. Read about events and locales such as the Lincoln-Douglas debate, the Lincoln-Shields duel, Alton's Confederate prison and burial sites, the Underground Railroad, the Hartford Castle, the Wood River Massacre, Western Military Academy and so much more. 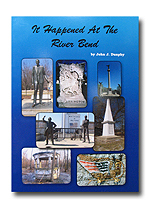 The book also includes profiles of prominent Americans who were born or spent time in the River Bend. Learn more about Elijah Lovejoy, Miles Davis, Robert Wadlow, James Earl Ray, Lyman Trumbull, Inglis Fletcher and Benjamin Godfrey. A collection of senryu: satirical and humorous short poems dealing with human nature - including the author's. A collection of science fiction and horror haibun. "Remember: there is a way out. Just close the book -- if you can." --- from the introduction by Tyree Campbell, managing editor of Sam's Dot Publishing. Journey to a region where all the perennials are said to bloom at midnight on Christmas Eve and where a family's luck is determined by the first person to walk through their door on New Year's Day. Spend a literary Christmas in Herrin, listen to the twelve bells of Belleville ring out the coming year and greet the three kings of Germantown at Epiphany. 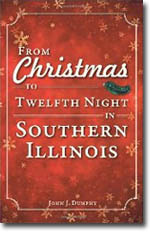 Whether you are a newcomer to southern Illinois or whether you feel like you have been singing "La GuiannÃ©e" since the tradition started in Prairie du Rocher in 1720, join John J. Dunphy for a season of sacred memories and merry recollections. 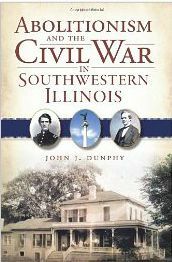 Southwestern Illinois played a fierce and pivotal role in the national drama of a house divided against itself. St. Clair County sheltered Brooklyn, founded by freed and fugitive slaves and a vital link on the Underground Railroad. Alton was the home of Elijah Lovejoy, gunned down defending his press from an anti-abolitionist mob, as well as Lyman Trumbull, who wrote the Thirteenth Amendment. After the outbreak of war, Alton's prison was packed with thousands of Confederate captives, a smallpox epidemic and the cross-dressing double agent Mary Anne Pitman. John J. Dunphy continues the story of the Civil War and abolitionism beyond the Emancipation Proclamation and Appomattox, seeking out the enduring legacy those struggles left in his corner of Illinois. - All Rights Reserved KMK Enterprises Custom Web page Design, Inc.